The Red Hat naming gift to the Shelton Challenge offers one example of philanthropy’s growing impact on the Shelton Leadership Center – donor support that the staff hopes to increase as part of the university’s current five-year, $1.6 billion Think and Do the Extraordinary Campaign. Another example is the Chancellor’s Leadership Development Program, which is completing its first year at the Shelton Leadership Center with 15 participants. The Provost’s Office provided startup funding. This effort focuses on first-generation college students and students from groups underrepresented within their field of study, especially students from rural counties. 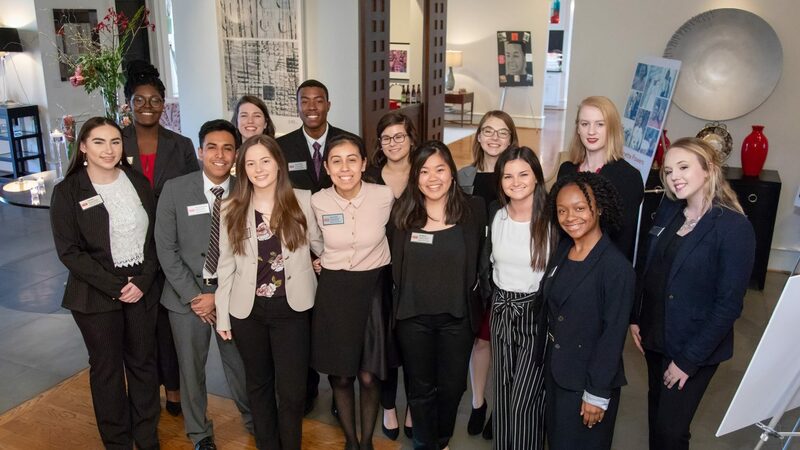 It offers intensive leadership, mentoring, networking, enrichment and other opportunities during the participants’ first two years at NC State. This month, the group will go to New Orleans’ Ninth Ward for a service-learning program. 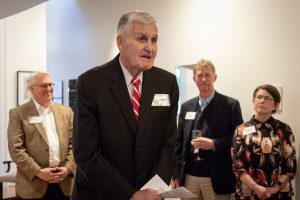 In April, the center announced the creation of the Carolyn Shelton Leadership Scholarship Endowment, seeded by a gift from General Shelton in honor of his wife, Carolyn, and by gifts from the center’s advisory board members. That fund will benefit participants in the Chancellor’s Leadership Development Program. The center’s staff is seeking additional private funding to sustain and expand that leadership development effort. A third Shelton Leadership Center initiative benefiting from philanthropy is the Shelton-Albright Entrepreneurial Leadership Program, which is being established as part of a broader gift boosting entrepreneurship at NC State from donors Andy and Jane Albright. The initiative launches this summer with a pilot project in Rutherford County. It is designed to connect high school students with leadership and entrepreneurial training, and corporate and economic drivers and leaders. The Shelton-Albright Entrepreneurial Leadership Program is aimed at North Carolina counties facing economic challenges and designed to help uncover new opportunities. Students share how the Shelton Leadership Center and Chancellor’s Leadership Development program have impacted their time at NC State. The Shelton Leadership Center staff also would like to secure private support for its participation, along with the College of Agriculture and Life Sciences, in Project YES (Youth Extension Service) – a national college internship program. Serving young people ages 6-17 in families impacted by deployments and other military-related absences, Project YES provides support services, workshops and activities in leadership and other topics. College students from across the United States are hired as paid interns for a year. Project YES is federally funded with about 40 interns annually. “We know that funding won’t go on forever and we also see great opportunity in that program,” Mulkey said. In addition to philanthropic support related to programming, support for scholarships is also important to the center. Each year, a Shelton National Leadership Scholar and a Shelton-Caldwell Fellows Scholar are selected. 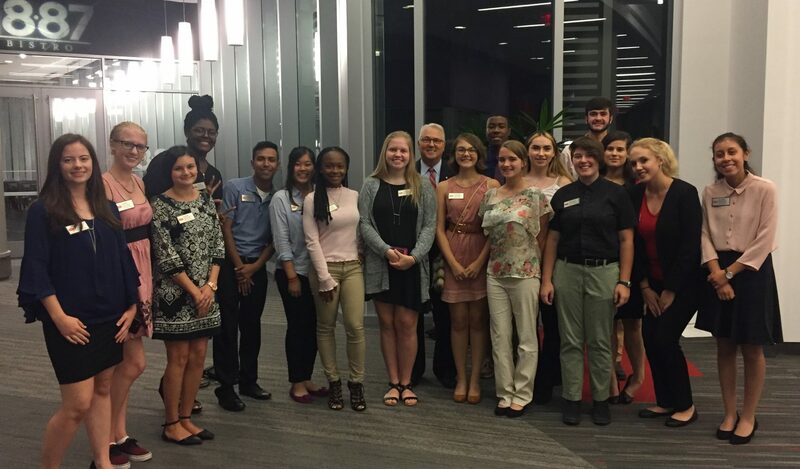 Along with training in leadership and topics such as protocol etiquette, developed by the center, those scholarship recipients participate in service projects near the coast and a special dinner with General Shelton. The center also maintains connections with other scholarship students on campus, extending invitations to various activities. Some scholarship funding also is available for students who wish to attend the Red Hat Shelton Challenge. The regular participation fee is $700, which Mulkey said is about one-third the cost of many comparable programs.